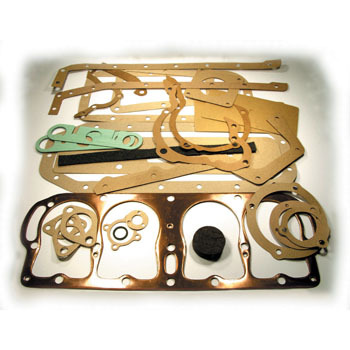 T3002-CS Engine Gasket Set with a copper head gasket. We do carry all gaskets individually, but this gasket set has all the gaskets you'll need for any of your engine work. I always keep a complete gasket set on hand and replace the ones that I use with individual purchases. It's wise to carry one of these on any out of town tours also.